LiveScience.com tells us that one Sunday in May, 1909, Sonora Smart Dodd sat in a church in Spokane, Washington listening to a Mother’s Day sermon. She had never known a mother. Hers had died in childbirth, leaving her dad to raise the newborn Sonora and her five siblings by himself. On that day she decided that her father, William Jackson Smart, a Civil War Veteran, should have a day established to honor him. The next year Sonora petitioned the city to recognize June 5th, her father’s birthday, as Father’s Day. Spokane’s mayor, claiming he needed more time to organize the festivities, pushed the date back two weeks. 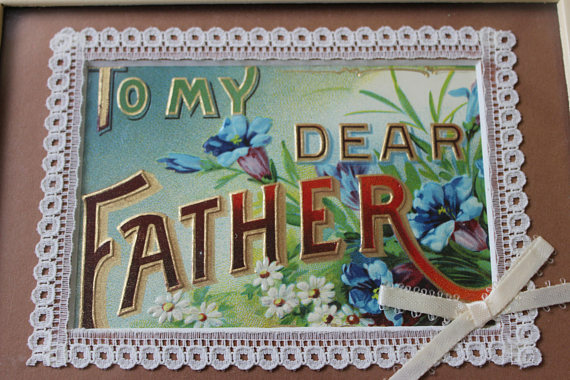 The Spokane Regional Convention and Visitor Bureau gives the date of the first Father’s Day celebration as June 19, 1910. At that first Father’s Day celebration large baskets of roses were passed around during the service. Those attending were encouraged to pin on roses in honor of their fathers, red for the living and white in memory of the deceased. Young women handed out red roses to their fathers. Then Sonora, riding in a horse-drawn carriage with her infant son, passed through the city, taking roses and gifts to home-bound fathers. After the first Mother’s Day celebration on May 10, 1908, Congress was relatively quick to declare the second Sunday in May as Mother’s Day in 1914. It took much longer for Father’s Day to achieve legal recognition. Thanks to Sonora Dodd’s original efforts though, it continued to grow in popularity. 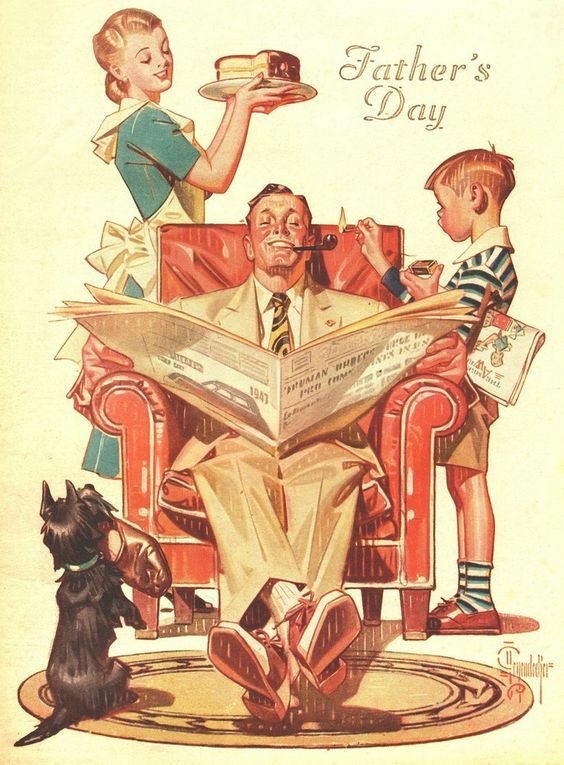 In 1924 President Calvin Coolidge gave his support to the establishment of a legally recognized Father’s Day holiday. According to the Library of Congress, he said it would produce a closer relationship between fathers and their children and impress upon fathers the great importance of their obligations to their children. A trade organization, the National Council for the Promotion of Father’s Day, was formed in 1938 by men’s clothing retailers in New York City. They had taken up the cause, as described by the Consumer Rites: The Buying and Selling of American Holidays (Princeton University Press, 1995). President Lyndon B. Johnson issued the first presidential proclamation honoring Father’s Day in 1966. That fell short of declaring it a legal federal holiday though. It wasn’t until 1972 that President Richard Nixon finally signed the law that made Father’s Day a legal federal holiday. Since the first celebration to now, we’ve come to recognize many different types of father figures in our lives. A lot of fathers these days perform a lot of stereotypically “mom” duties, from changing diapers to carpooling kids to weekend and after school sports. This has resulted from the importance of dual incomes for families. 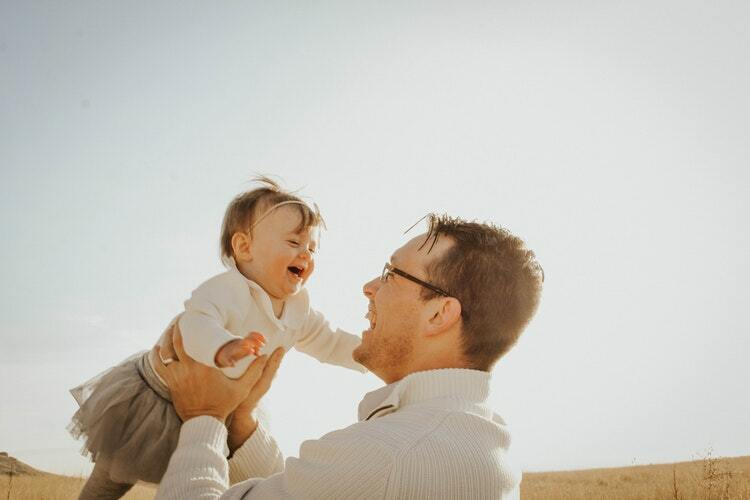 In a Pew Research Center’s Social Trends Survey which included over 2,000 telephone interviews with a representative group of US adults of 18 years or older about 60 percent of fathers said they had it rougher than they had 20 or 30 years ago. Men are the harshest critics of themselves. Of those surveyed, 55 percent said they believed they did a worse job of parenting than they had in the past. Where do fathers turn for respect? Most moms give them kudos and more for their strong support and assistance. If you are in need of gift-giving inspiration for your special dad, visit our Father’s Day gift guide. Or, post a picture of your father on our Facebook page, on Twitter @Elfster, and on Instagram @Elfster. We’d love to meet your awesome dad!